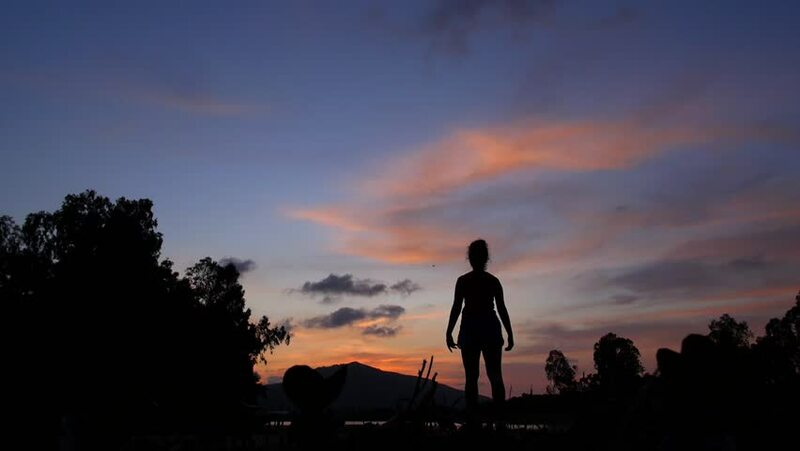 Success Concept of Woman Silhouette with Arms Outstretched Towards the Sunset Sky. Slow Motion. HD, 1920x1080. hd00:14Inspirational Young Woman Rising Hands to Sunset Sky. Slow Motion. HD, 1920x1080. 4k00:13Silhouettes of walking man on the background of the sunset sky.